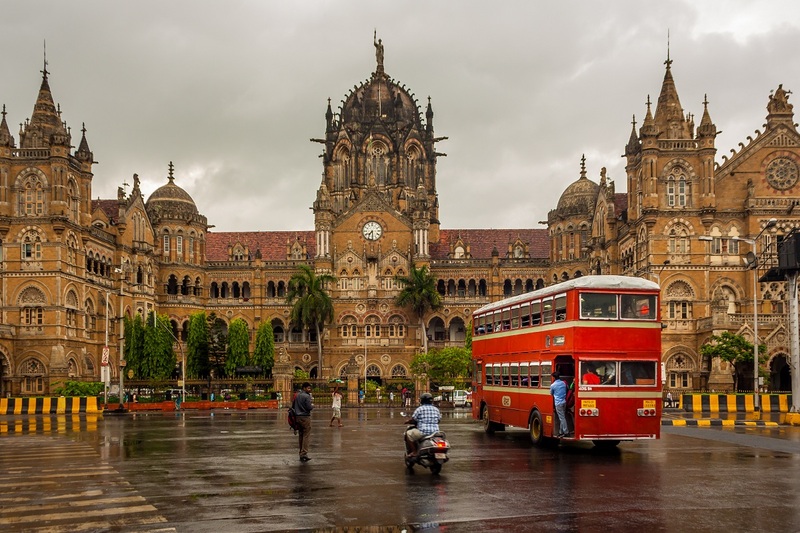 Bombay, now known as Mumbai, is the Gateway to India. My recent 2 days visit to this thriving cosmopolitan, multi-cultural city was beautiful. Here’s my 2 days itinerary in the centre of India’s entertainment industry, famously named as “Bollywood”. 9.30 a.m. Mumbai airport. Arrived! As I embark the airplane, fully prepared to experience the jaunts and jitters of Maximum City (as Mumbai is fondly referred by), I begin to feel the itch of my anxious touristy temperament, considering my last trip did not nearly familiarize me with the city as much as I’d have liked. I merely zoomed in and out of the airport, to hotel and back. This time, however, I promised myself to fully soak in the sundry scenes of the city that is home to the filmy colours of Bollywood and beyond. As I reach the baggage belt to retrieve my smartly packed stroller for a two-day stay by the sea-front, a young bloke in a crisp navy-blue suit approaches me, addressing me by name (to which I’m delightfully surprised), introducing himself as the reception host from The Oberoi. As I pause to wonder how he recognized me in absence of any self-notification among the multitude of jet-arrived (and lagged!) passengers scurrying from terminal to terminal, he niftily takes care of my transfers, and moments later we’re out into the pleasantly warm weather of “Aamchi Mumbai” (colloquial slang for “Our Mumbai”). A black, shiny Audi A8 sedan smoothly swings by the side of the waiting lane, and a lady chauffeur emerges out of the driver’s seat. Donned in a pristine white suit and cap, she quickly settles me in. I’ve never officially been chauffeured by a lady and the experience proved pleasantly surprising and fresh, mostly very comfortable, and not to forget, chatty! As we drive into the city inside the smooth sailing automobile, she keeps me occupied with her fantastic tales of working as “lady chauffeur”. She’s been doing it for the past 18 years. Ladies in Saudi Arabia, we’re ready, yes? I take a moment of respite from all the jazz of air travel, pick a fresh wet towel held by the seat for my refreshment, choose a selection of jazz tunes for easy listening, and pre-order a light breakfast of smoked Norwegian salmon and a soy milk cappuccino, all from the comfort and confines of the luxurious car ride. And all this before even having reached the hotel! Checked-in. 11.00 a.m. The cat has landed at The Oberoi! I drop my bags, all checked-in and smarted into my nifty executive suite. 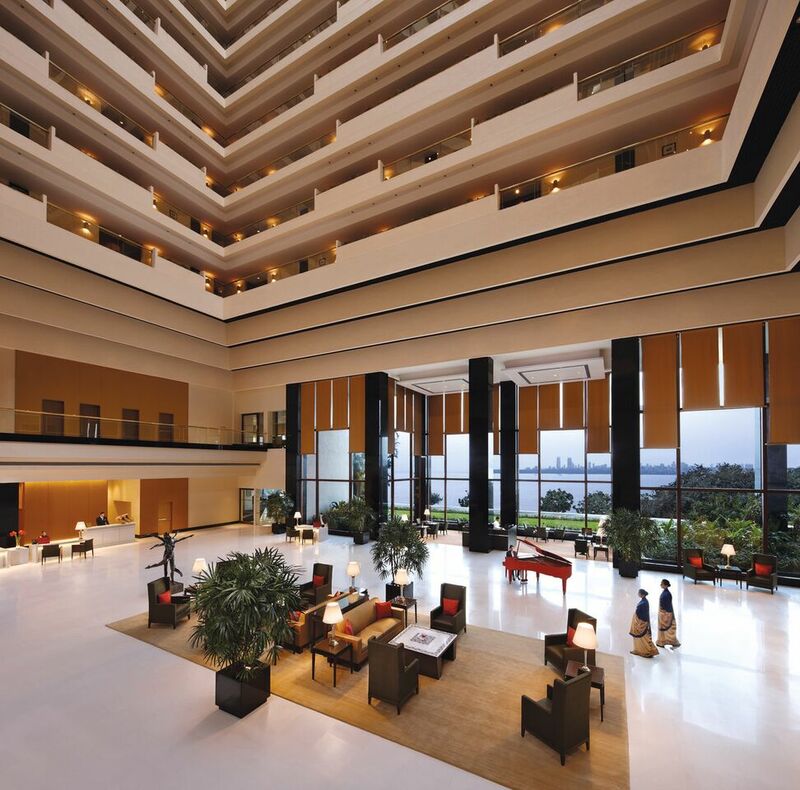 The generous view of the Arabian sea opens itself through the large ceiling to floor windows to keep me company. Just as I begin to ponder the wondrous view of the ocean lying in front of me, a wondrous assortment of chocolates served on slit banana leaves, and chocolate dipped strawberries are sent for my gastronomical company. And with that, I slump into the arm-chair by the window, popping the lusciousness of chocolate and cream dipped strawberries in my mouth and dip into a peaceful slumber through the entire afternoon under the view of the tranquil sea. Missed lunch! City calling. 5 p.m.
As I watch a different world immersed in its own little film, at a little distance I hail the quintessential black cab with a fluorescent yellow roof—quite stunning characters on the public roads of Mumbai, transporting an array of colorful passenger types on their own little journeys. While I get in, some lousy driver behind us bumps our cab out of hurried anxiousness, and a scuffle breaks. As if bumping and pushing all the vehicles in front of him would help him reach faster! Our driver realizes that the best way forward would to be to let the offender go, so he satisfies himself by muttering expletives instead and frustratingly drives me to a city mall. Quite an adventurous start! Throngs of young people are gathered in the cafes, restaurants and hi-end fashion stores– the commonplace scene in any global city. So I move out of the usual haunts to discover a slice of Mumbai, lapping up the sights of decaying Victorian-inspired buildings standing in perfect tandem with modern skyscrapers. After some local shopping for souvenirs and ‘people-watching’– which seems to have become my favorite pastime– I head back to the hotel where a gourmand experience awaited the famished buds of my palate. Back at The Oberoi. Ziya Restaurant-dinner. 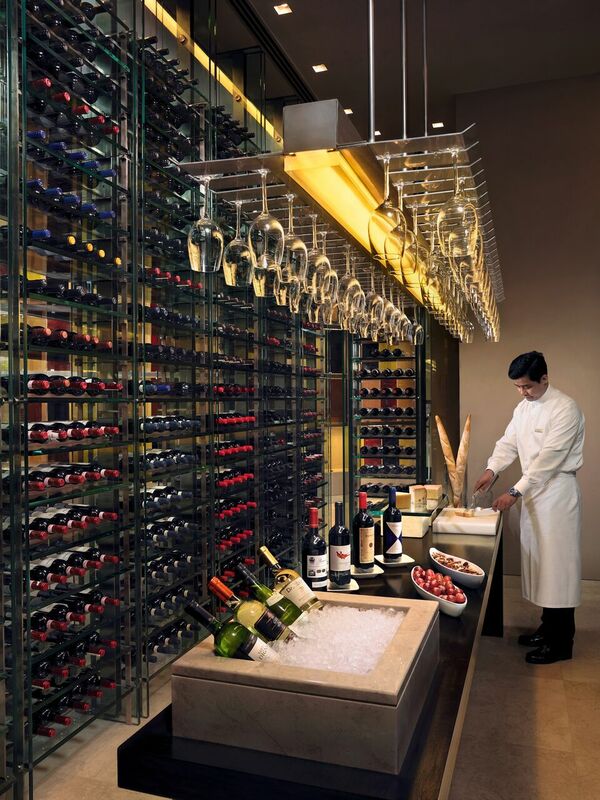 9 p.m.
Vineet Bhatia, a twice Michelin-starred celebrity chef curates and creates an eclectic menu at Ziya. Although Ziya serves ‘Indian cuisine’, an unassuming guest looking for “Indian food” might just be in for a surprise! Forget about the macho-ed and fire-spurning foods served in most other commercial Indian restaurants the world over. This is true Indian food served in all of its royal splendor. It’s no wonder that Tom Cruise, Bryan Adams and Andrew Lloyd Webber are big fans of Vineet Bhatia. Add another culinary fan here, please. Personal highlights of his seven-course gourmand menu on offer–semolina crusted egg plant rolls with the jaggery and chikki lassi which contained such wonderfully opposing textures peppered with a subtle hint of spice that you’d think you’re in palate paradise. A generous portion of a fish fillet spread over a bed of rice puffs and dokla proved healthy, crispy and appetizing along with the lobster, squid and red beans gravy. The biggest feature of my dinner was eating an edible flower called ‘Nostrium’—something I’ve never done before– with Bombay cheese toast and a tenderly succulent chicken breast spiced with coriander. Dessert topped the spectacular meal: a chocolate cake with a rasgulla base (cheese-based Indian sweet dish), served with orange kulfi (a frozen dairy ice-cream popular in India) on the side, dashed with a slice of orange, providing a wonderful burst of zesty flavor on the tongue. All in all, I probably just went gourmet ga-ga! The excitement of sleeping on hotel beds! 10.30 p.m. Feeling fully feasted yet light, I went for a lazy stroll around the hotel lobby and took an elevator back up to my room on the 12th floor, as the gentle melodies of a pianist playing on a grand red piano in the lobby led me back to my bed for the most satisfying slumber I’d had in a long time. The Oberoi provides a personal butler on-call, and I had the service of the most wonderful of petite female butlers there is, who would attend to my personal tastes with such great detail that she gently reminded me of my usual preference when I ordered a different style of coffee this morning. Sometimes, my own mother forgets! After serving me the most appetizing plate of scrambled eggs and potatoes, along with a plate of seasonal peaches and star anise, I took a quick stroll around the hotel to discover some hidden gems of art stocked around the property. The architecture is a combination of modern and Indian décor, and most paintings hung in the rooms and around the hotel are from the personal collection of the founder himself who is an avid art collector. A jewelry trunk slumbering in a hidden corner, hand-carved tables, bronze sculptures and commissioned marble artworks explain meticulous detail and importance given to art at The Oberoi. But what is most outstanding about the hotel is the inherent sense of space evident in the entire property, opening up to the view of the seas from all fronts. I dash back into my room to watch the Indian Republic Day celebrations from the generous view of the windows, giving full sight of the parade set against the luscious backdrop of the Arabian sea. What a spectacle! The showstopper: watching the vintage cars showcase and the fleet of yachts that made their journey along the length of the coastline. 12.30 p.m. Shop till you drop!!! The most convenient aspect of the hotel that should keep many women placated is the inter-connected Oberoi Shopping Arcade packed with stores selling Indian handicrafts, carpets, perfumes and knick-knacks. The Trident Hotel next door hosts some of the biggest luxury-brand stores from Jimmy Choo, Versace, Bottega Veneta to Salvatore Ferragamo, including Chopard in The Oberoi hotel lobby to indulge the fashion spender in you. 2 p.m. Go Italiano. Lunch at Vetro! I head back to the hotel room, dump my shopping bags and make a reservation at the hotel’s Italian restaurant, Vetro, for a quick bite. Diving straight for main-course, I ordered a swell plate laid with fresh and tender lobster served with garlic bread, and a chocolate mousse cake for dessert. Satiated, and ready to leave. As I settle back into the Audi A8 sedan and watch the world go by on my way to the airport, my small retreat by the sea tucked in the corner of the bustling city settles all the noise Mumbai city is lauded for. Packing bags for Mumbai -The Oberoi! There’s a beauty in the chaos too in Mumbai. Beautiful city to explore and not to forget heaven for food enthusiasts and shopping lovers.